Settle in at the Country Inn & Suites, Port Clinton with 64 hotel rooms and suites, each featuring free high-speed Internet access and flat-screen TVs. Bring your favorite snacks and drinks to take advantage of the microwave and the refrigerator, and wake up every morning to a cup of coffee made with your own coffeemaker. For a second cup, head down to the dining area to enjoy a delicious meal at our complimentary, hot breakfast. Traveling with kids? Upgrade to a Studio Suite for extra space and a queen-size sleeper sofa. 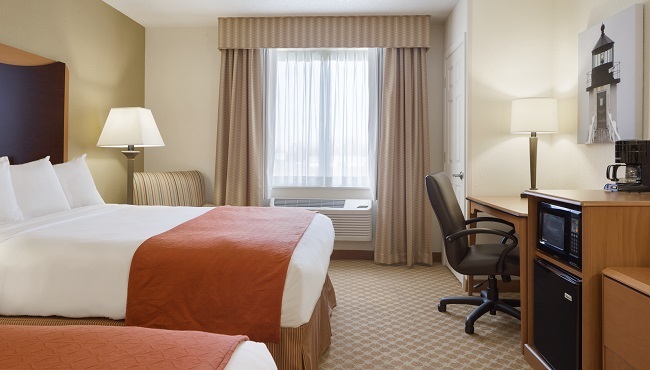 Offering your choice of one king bed or two queen beds, our Standard Rooms help you feel at home with standard amenities like free Wi-Fi, a microwave and a refrigerator. 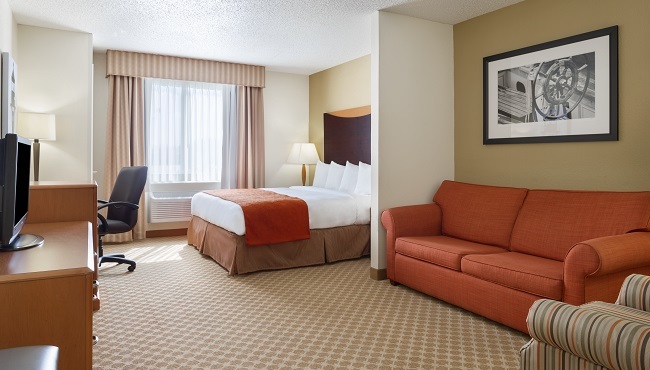 If you’re traveling for work or just want to spread out a bit, consider booking our Single King Studio Suite. In addition to a king bed, these suites also include a seating area with a work desk and a queen-size sleeper sofa. 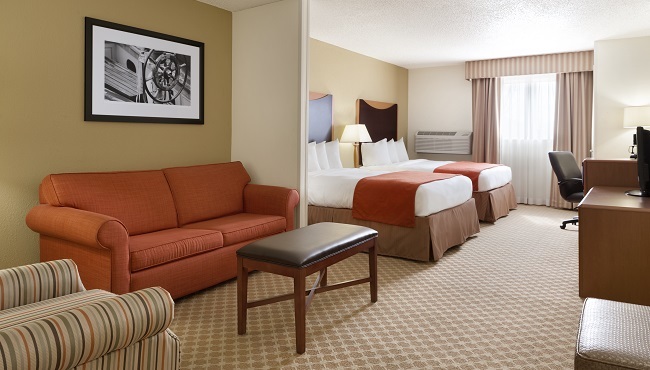 Make family trips more enjoyable by stretching out in our Two-queen Studio Suite. Amenities include two queen beds, a work desk and a seating area with a queen-size sleeper sofa. Please note: This two-story hotel does not have an elevator. Please contact the hotel directly if you need a first-floor room.